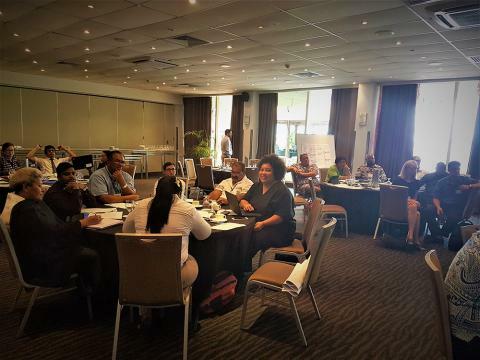 Suva – IOM, the UN Agency for Migration, in collaboration with the Platform on Disaster Displacement (PDD), has organized a regional capacity building workshop for Pacific Islands on “Human Mobility in the Context of Disasters and Climate Change,” hosted by the Government of Fiji. The event held on February 13-14 2018, was attended by over 20 policymakers working on migration and climate change from eight countries – the Cook Islands, Fiji, Kiribati, Marshall Islands, Palau, Papua New Guinea, Tuvalu and Vanuatu. Experts from other UN agencies and partner institutions, including GIZ, IFRC, ILO, OHCHR, UNESCAP, UNISDR, UNU-EHS and the Kaldor Centre for International Refugee Law at UNSW Sydney also took part. “The history of the Pacific is one of migration. 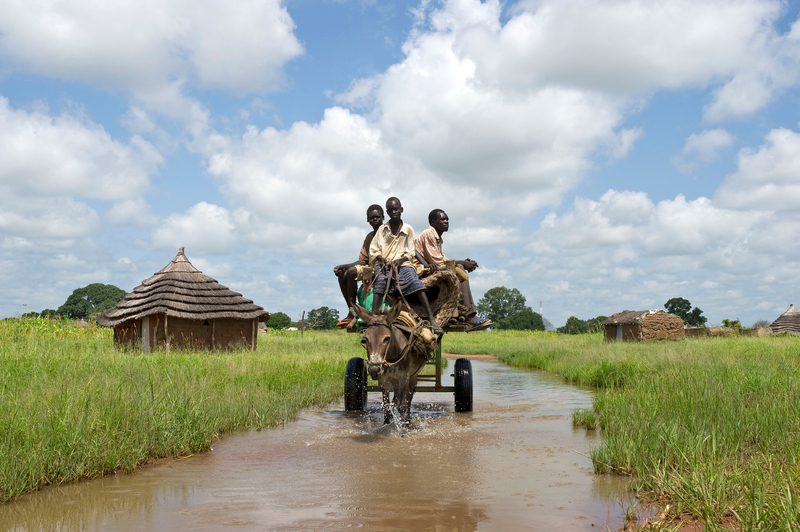 Mobility has been driven by a search for greener pastures, access to education, health and employment. 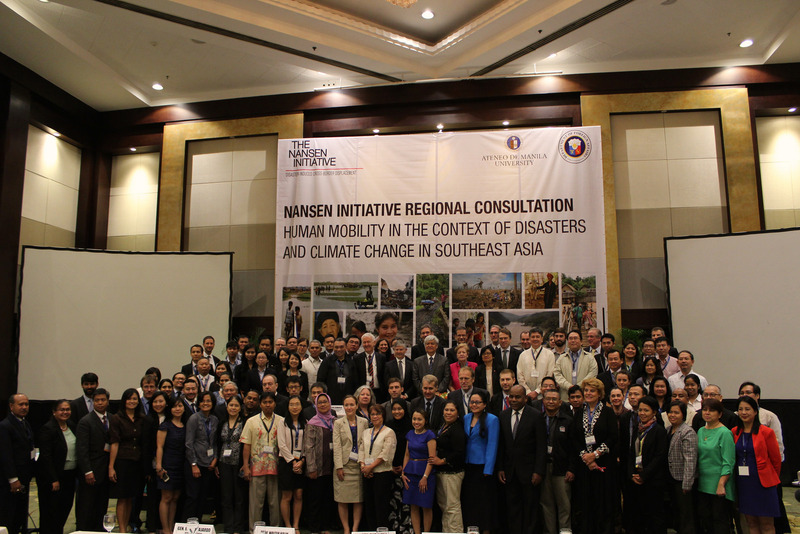 But an underlying feature that has always shaped these movements has been the surrounding natural environment,” said IOM Regional Director for Asia and the Pacific, Dr. Nenette Motus. The Pacific Islands are extremely vulnerable to climate change and face disproportionately high disaster risks. In addition to cyclones, volcanic eruptions and tsunamis causing disasters in the region, rising temperatures and sea levels, coastal erosion and salinity intrusion are also accelerating due to climate change. “Rising sea levels are eroding the territories of Pacific Islands, while cyclones and floods are endangering local livelihoods and traditional ways of life,” said Dr. Motus. As a result, diverse mobility patterns have emerged in the Pacific. They include evacuations and displacement in the context of sudden-onset disasters and pre-emptive migration or planned relocation in the face of slow-onset processes or recurrent sudden-onset events that have affected people over a long period of time. “Climate change is one of the biggest threats to humanity,” said Meleti Bainimarama, Permanent Secretary for Rural and Maritime Development, Disaster Management and Meteorological Services of Fiji, where three villages have already had to relocate in the face of rising sea levels. Based on this experience, the Government of Fiji is now developing planned relocation guidelines to inform future relocation, as a last resort measure. “Displacement following cyclones Pam in 2015 and Winston in 2016 illustrates the high level of disaster risk and displacement risks faced by all countries in the Pacific region,” said Atle Solberg of the Platform on Disaster Displacement. The two-day capacity building workshop, funded by the Swiss Federal Department of Foreign Affairs, offered regional policymakers the opportunity to strengthen their understanding of key issues around human mobility in the context of disasters and climate change and to discuss potential solutions at regional and national levels. The workshop was organized as part of IOM’s capacity building programme on Migration, Environment and Climate Change, which has already benefited about 400 policymakers of 46 countries, and is based on IOM’s Training Manual on Migration, Environment and Climate Change. It is also part of IOM’s support to the State-led PDD and to the implementation of the Nansen Initiative Protection Agenda in the Pacific region. IOM has been addressing the migration, environment and climate change nexus for more than 25 years on all fronts: conducting research, promoting policy coherence and development, building capacity of policymakers and operational implementation. You can find out more at: www.environmentalmigration.iom.int and www.disasterdisplacement.org.